The market for poetry is probably smaller than the number of poets in the world. Yet more and more people gladly join the ranks every year, spending their precious time penning a musical verse. To some there is no greater pleasure than the joy of reading and writing an ecstatic poem. There is something so deeply edifying about poetry that it makes up for all the troubles and the poor monetary rewards it offers. But Poetry is less about “What” and more about “How”. Often a good poem is not about what it says but how it says it. Take for example Ted Kooser’s, “Four civil war paintings by Winslow Homer”. 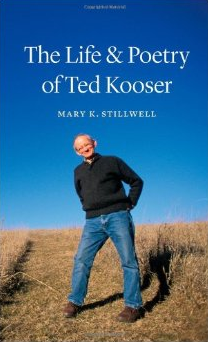 It is not the subject matter of the poems but the way that Ted Kooser describes the paintings that makes all the difference. He could very well be actually painting the picture himself in front of your eyes with his masterful brush. For instance in the poem, “Sharpshooter” which is the first of the series of four poems, Ted talks about the shooter “waiting” with his “finger as light as a breath” on the trigger ready to shoot. The poem starts with, “Some part of art is the art of waiting”, clearly making an analogy between the poetry and the art of shooting. The shooter waiting for the perfect aim is in direct comparison to the poet waiting for the inspiration to pen his poem. It is within these precious few moments of waiting; that the poet concludes a journey of creation and the shooter makes a perfect kill. Is the fulfillment derived from this short albeit soul searching journey that makes most poets go back to the tedious task of writing poetry? Poetry like all forms of writing requires a certain element of pride and stubbornness. Pride because as a writer you want to believe that what you have to say matters and that nobody else in this world has said exactly what you are going to say in precisely the same way. It also requires a certain level of stubbornness. Stubbornness because you need to continue writing, no matter how little recognition or approbation you may receive. It requires an almost die-hard resilience to want to wake up early or stay up late to dip the nib of your brain in the ink of poetry. 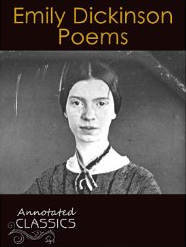 Take for instance Emily Dickinson; one of the most celebrated American poets of all times only published about less than a dozen poems during her lifetime. And yet she composed nearly 1800 poems. Likewise Henry David Thoreau, Allen Edgar Poe and many others did not receive much acclaim and recognition until after their death. Not receiving acclaim did not prevent them from being true to their work. And what if they did get credit for their work? Would it truly have made any difference to their work? Poetry even today is not a well-paid art. It is one of those forms of arts that must be undertaken simply as a labor of love. The thing about poetry is that there is no “right” way to writing poetry, although there are some rather easy to follow “wrong” ways. Poetry much like all other arts has its techniques that you can follow or chose to ignore and still write extremely good or bad poems. And although practitioners claim it is an art that can be learned, the end result can only depend upon one’s inherent talent and the time one is able to invest. Poetry is indeed about the ‘how’…. writing poetry for me is both fun and a burden…it doesn’t matter if it doesn’t follow a rule or even if nobody acknowledges them…but still I want others to get it and enjoy it.. I want to be better and want to be read widely…but it doesn’t matter so long as there is a medium of expression…and I find it though my blog..